Things have been heating up in the south, as the sides formalise and objectives start to become clear for both sides, shifting from the defence of Phoenix Federation and curtailing of CO2’s ambitions in Feythabolis, into a full on siege of Impass – CO2’s home region – in order to push them out of the South. 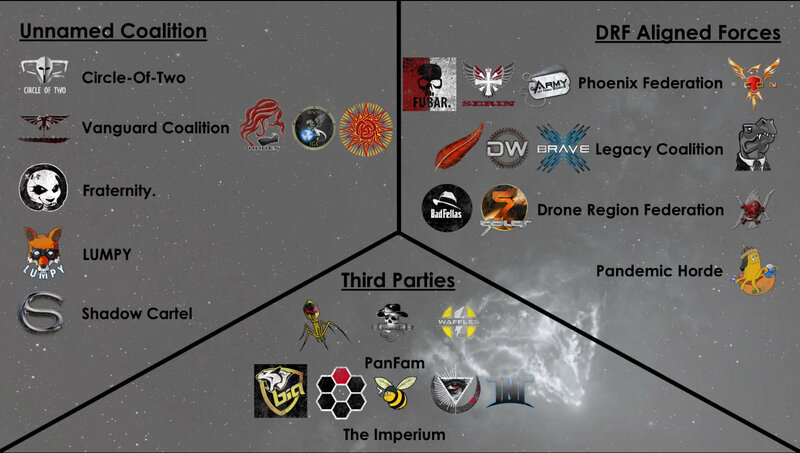 In addition to this, the mode of war has shifted, with Sov taking a backseat to the strategic and tactical power that Citadels provide over regions, turning the war from lightning fast interceptor based warfare into something akin to the days of old PoS warfare. Grinding, trench warfare is back with a vengeance, and the South is going to be the first true, evenly matched testbed of this new meta, as both sides sit entrenched in their holdings. Take a walk with me through the sides, the battles and the overarching strategies of this war, as I think this is going to be a blueprint for wars to come.